On August 18th the Crew will be packing up and heading east, to Michigan [Howell to be exact]. While I am sad to leave my California clients... 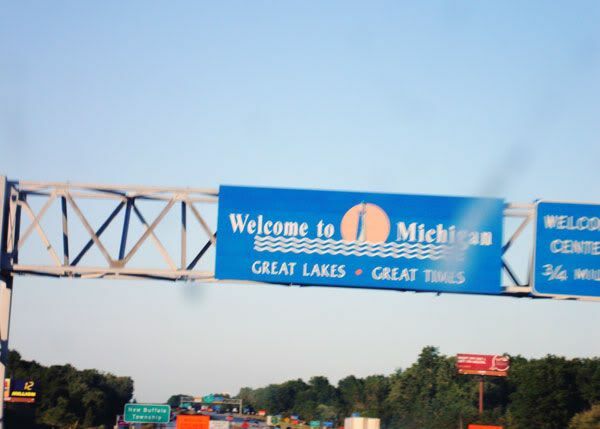 I am really excited to be able to serve my Michigan clients on a more regular basis. Now.. if you read this blog at all.. you know that I was offering a special for the month of July for all my Cali friends. With the news of my move... I have decided to EXTEND that special through August 10th! That means you can get a FULL session AND a CD with ALL the edited images from your session for ONLY $250! Consider it my "going away gift" to all of you! NOW.... for all my Michigan clients: You may be asking .."What about your special $150 deal you do when you visit?? Will we still get that deal?? Does this mean you have MORE session dates during August?? Will your prices go up?" What about your special $150 deal you offer when you visit?? Will we still get that price? A: Yes and no. I value my Michigan clients, and started the "$150 deal" to help generate business when I visited, while also making turnaround time the shortest possbile for all of you. That being said.... if you already booked for this August the $150 price will STILL be honored. AND.... in celebration of our move I will be EXTENDING this great deal through the entire month of September! So if you wanted to book... but haven't yet...you can STILL take advantage of this special for another month. Does this mean you have MORE session dates available for August? and beyond? A: In short.. yes. BUT.. let me tell you why: Professional photography is an ART. It's much more than just "point and click". There are many, many.. many.. hours of editing and proofing and putting up slideshows and getting orders ready, that all goes on "behind the scenes". As I said before... the $150 deal was to allow as many people who wanted to, to take adcantage of my services when I vitisted. I wanted to expose myself to as many cients as I could. I also wanted to make things as EASY as possibe for everyone involoved. Hence the "one fee for everything" deal. It's MUCH easier to just do a CD with everything for my clients in Michigan, rather than do a sideshow, ordering session, then a print order, then ship prints from Cali to Mich. So, while the $150 deal is availabe through Sept 30th, on October 1st the price will change. I'm not sure to what yet. I have a lot to consider when figuring out my pricing structure for Michigan. Where I am now is different, economincally, than Michigan, and I will be taking that into consideration. Untill then... take adavantage of the $150 deal!!! It's a GREATway to get some FAB pics at a low price! So... I hope I answered all your questions. If not.. let me know! Send me an email.. leave a comment on this blog.... call me. I am hopful that this move will bring with it great things for WMP. I already have some wonderful ideas for this fall... so keep watching this blog.... as I will be posting some casting calls in the coming weeks for this fall. ;) Are you excited yet?? I am. OMGosh this is sooo HUGE!!! I'm doing a super massive special for the month of July! For the ENTIRE month of July I am offering FULL SESSIONS for upto 5 people for ONLY $250! PLUS.... a CD with ALL the edited images from your session! This is so beyond anything I have every offered so I hope you will all take advantge of it! Got more than 5 people?? No problem. Each additional person is only $10! These are going to book up fast so please email me asap if you would like to schedule a session. :) This promo ends July 31st, and August is already booked up so this is your ONLY chance to get photos this summer! Anyhow.... this is my sister-in-law, her 2 super cute kiddos, her soon to be hubby and his 2 super cute kiddos. I'm photographing their wedding in August as well. Don't ask me how she ropped me into that one. I don't do weddings! ;-) She's pretty good with the bribes... I'll leave it at that. OH... I'm also proofing a SUPER ADORBS newborn session right now... (sneak peek coming soon)... so stay tuned!